Ms. Hang Sayaneth started working in Ministry of Posts and Telecommunications in 1983. Later, she worked with many international and national non-governmental organizations for over 20 years since 1992. During this period, she worked with organizations focusing on general and reproductive health, gender, media, elections, human rights and democracy, to which she brought a number of successes. 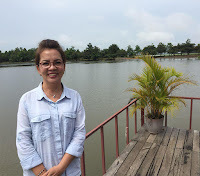 Through her years of work, Sayaneth has contributed to the improvement of democracy and rule of law, encouragement of large civilians’ participation in election process, social development, democracy, and democratic governance principle. Sayaneth has outstanding experience in moderating big events such as Constituency Dialogue, Commune and National Political Candidate Debate, National Party Leadership Round Table Discussion, Women Dialogue, etc.